Indiana received a D rating in the 2018 Status of Women in the States report conducted by the Institute for Women’s Policy Research. The grades are based on employment and earnings, political participation, poverty and opportunity, reproductive rights, health and well-being, among other factors. Women4Change Indiana Executive Director Rima Shahid believes the Hoosier state can do much better. “What can one do to be involved and to really help change? We think Indiana women deserve much better than a D,” the Carmel resident said. Women4Change Indiana is a nonpartisan, nonprofit whose objective is to embolden women to be politically and civically involved in their communities. It was created after the 2016 presidential election when founders Rabbi Sandy Sasso and Jennifer Nelson Williams witnessed conflict and disrespect throughout the campaign cycle. 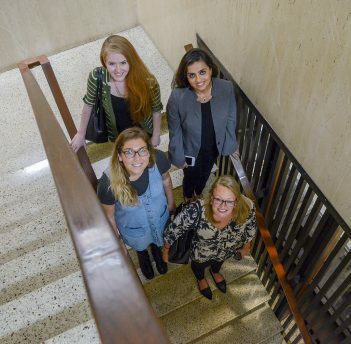 “There seemed to be so much unrest and incivility, and (the founders) knew when women came together, we could get things done,” said Alysa Villelli, W4CI communications and community coordinator. Shahid said the organization’s mission requires everyone coming together to make a change. “It’s more of a movement,” she said. Shahid grew up in Carmel and graduated from Cathedral High School in 2002. 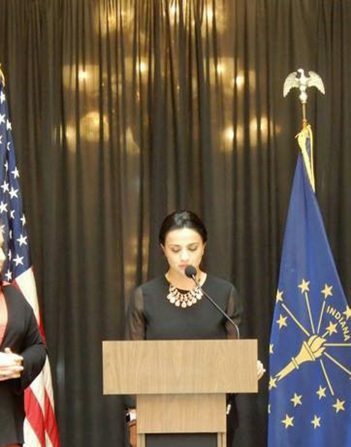 She began studying at IUPUI before moving to Bahrain to work and finish school. 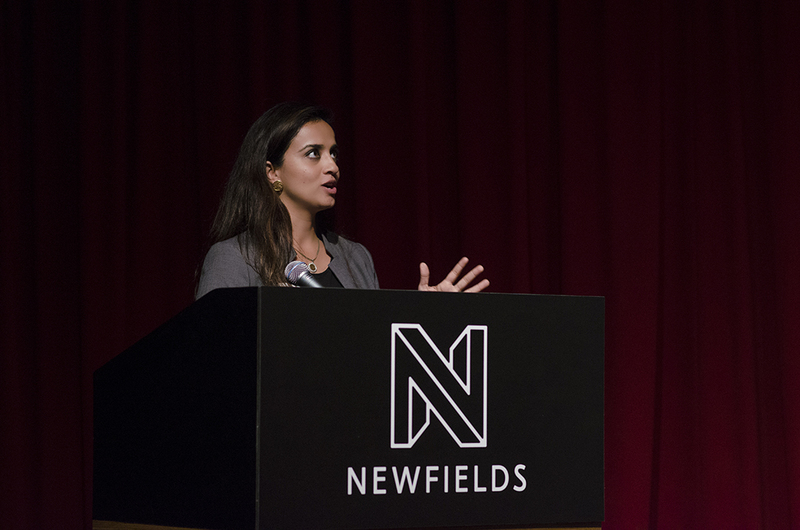 Shahid spent 11 years in the Middle East with her husband and children, serving as the trade development officer and cultural attaché for the Pakistan Embassy. She facilitated trade between Pakistan and nations within the Gulf Cooperation Council as well as Western European countries. Although Shahid said she had a phenomenal experience in Bahrain, she became and lost sight in her left eye. 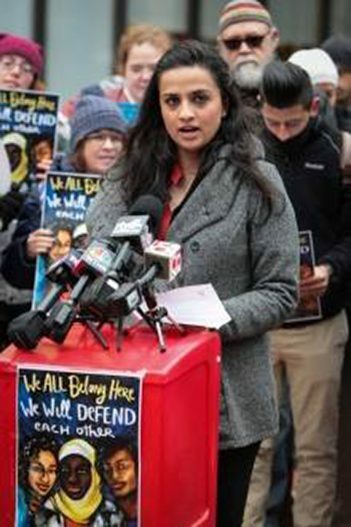 She returned to the U.S. four years ago and began working for the Muslim Alliance of Indiana. 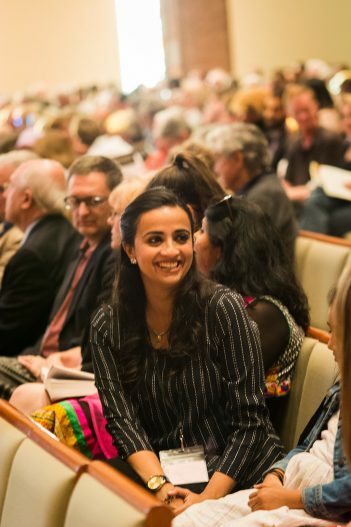 Shahid then learned of a new women’s organization hosting its first meeting in 2016 and tried to attend, but the meeting was at capacity with more than 800 people. She joined the original W4CI steering committees and task forces before assuming the executive director’s role in September 2017. During the past year, She focused on connecting with the community and building the organization’s network. Shahid said the organization values civility, collaboration and the health, safety and dignity of all Hoosier women. “That’s what being a women is, right? We partner together, we collaborate with one another and we uplift one another. That’s sisterhood,” she said. W4CI aims to empower women to engage in political and civil discourse by providing education, staffing tables at community events, joining coalitions, canvasing door-to-door, hosting panel discussions with legislators, and working during legislative sessions, among other activities. The nonprofit is focused on the upcoming election by urging everyone to vote. Shahid said Indiana has the second-lowest voter turnout in the nation. W4CI will host a reception Oct. 12 to celebrate women running in the November election and another Oct. 13 to discuss improving Indiana’s D rating in the Status of Women in the States report. “This is my way of giving back to my home and my state and to lead (by) example for my children,” Shahid said. Women4Change Indiana is hosting the State of Women in Indiana, consisting of two events, during the second weekend in October. From 6 to 8 p.m. Oct. 12, guests will celebrate female political candidates. From 8:30 a.m. to 2 p.m. Oct. 13, attendees will participate in activities and discussions to learn how to improve Indiana from a D rating to an A in the Status of Women in the States report by the Institute for Women’s Policy Research. Tickets are $15 for Oct. 12, $40 for Oct. 13 or $50 for both days. The Oct. 12 session includes snacks and one drink ticket. The Oct. 13 session includes breakfast and lunch.